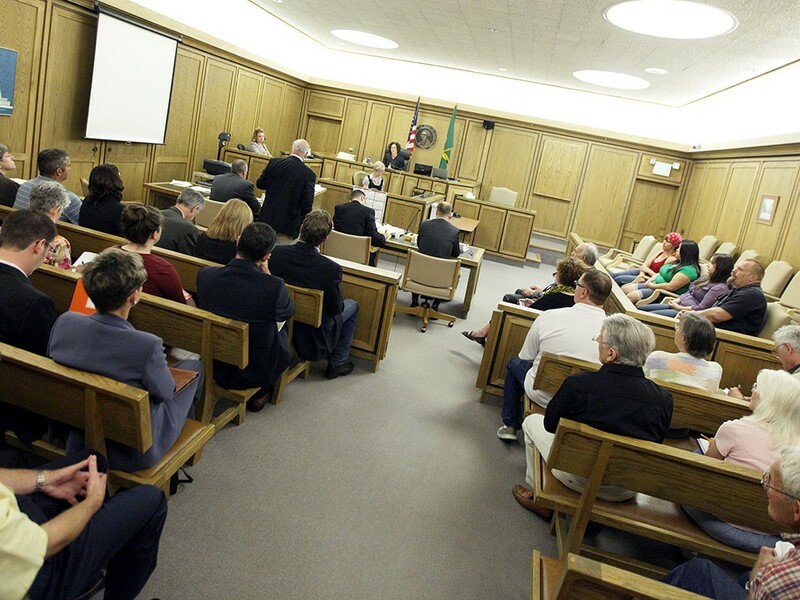 Politicians, business lobbyists and citizen activists filled a courtroom last week to hear arguments over two local initiatives. Onlookers kept whispering, “It looks like a wedding,” with each family on one side of the aisle. But the judge’s focus was narrow. Moreno told the sponsors she admired their advocacy, but believed they were overstepping their bounds. She said the measures exceeded city initiative powers by attempting to regulate areas, like the environment, already governed by state and federal law, or restricting First Amendment rights by limiting speech and campaign contributions, which the Supreme Court has protected. Precedents for the case are mixed. Both sides cited cases in Washington where governments or corporations challenged citizen initiatives to keep them off the ballot. In Philadelphia II v. Gregoire, the Washington Supreme Court used a two-prong test to determine that a measure which would have established a federal initiative system and “world meeting where representatives from participating countries will discuss global issues” exceeded the scope of state initiative power. To be valid, the court wrote, the initiative “must be legislative in nature and enact a law that is within the state’s power to enact.” But in that case and later in Coppernoll v. Reed, the court said it could not rule on the constitutionality of a proposed initiative (in that case, one that would have restricted claims for negligent health care). So the fine line falls between a court interpreting scope and judging constitutionality. McLaughlin says the initial changes were a direct response to Envision. Before the group emerged, she says there was “no question” that if an initiative got enough signatures, qualified for the ballot and passed, the city would make it law.